This year's Tennessee Trot went last Friday and Saturday and yesterday as a “three day stroke” på Hotingsjöns is. Like most traveling in the north have it in Tennessee special coloring and complexion, perhaps closest as a mountain district's winter festival in association with the patterning of this rural horse material. Hotingsvägen web can certainly not account for the large crowds and the big crowds and big totoomsättningarna, but instead has Tåsjö horse breeding association managed to maintain its recurring event's originality as a rustic seasonal showdown. Except the sporting balance, these race days a purely sociable exchange - you have the opportunity to meet each other, discuss common concerns and to renew old friendships, which in this way- communication and poor areas are not within the everyday of possibility. Racetrack invited generally on good and hefty sport, sharp but juste completed battles and arrangements can nte some weighty remarks made. One event of closure of the riot occurred, however immediately penalized by judges Board by the sinner fined. Him to punishment and androm a warning to others ... Whether it be said, to ten years in a day - opening day - is absolutely too much of a good thing when it bl. a. limited totalisatorutrymmen require rather long interval between the rennet for everyone to have time to invest in “right horse”. Must banana to top it all plowed, it goes like Friday, that the settlement requires nearly six hours. In fairness, however, the organizers released from some of the blame, for coachmen lagged behind in many cases more than a little of both at defilering and lineup. In that respect, the audience right to demand punctuality. It all wins, not least atmospherically, of greater concentration. Where the climatic point of view, a mixture of good and evil - sunshine alternated with light snow and gusty cold-nordvästan became what it was toward evening bend increasingly troublesome. The track was heaviest in the team since the first races harvested. The till around 1.000 persons amounting audience had sales 10.8963 kr at Toton, which 5.863 kr on winners and 5.000kr in place. The small stakes dominated large. No fog was noted odds, highest paid - kr 6:96 per riksdaler – gav Majbris, owner Mats Alexandersson Karbäcken, and certainly driven by traventusiastiske Juror J. Alexandersson. Of the notified horses came a rather substantial number, in some races closer 50 percent, giving two chances to win on the spot. The commencement date occurred only two wash cycles for impure trot. First race, three, lingering over 1,000 meter, saw Majbris in front until approximately 100 yards from goal, then Sickan attacked, pressed in width and just before the finish line past – men i galopp. It was “suspension”, but Sickan will surely come again as well as Kri-Kri, which showed ground covering trot. SECOND RACE, aller the northern Swedish and cold-blooded horses over 2,000 meter, Tangled up in the beginning and when the flag finally fell noted rough false start by Hov-Dido and Little Greta. Field called back, but in the strong wind did not hear all körarna clock but went on in wool stockings well into the first long side. Renewed start successfully, varefter loppet suveränt behärskades av Lillgreta efter elegant körning av Kasper Andersson, Hackås. THIRD RACE over 2,000 meters for the farm horses saw Lenny victorious before Valdis, which resulted in ögonfägnande style right into the riot curve, but still have to capitulate to Lenny Stronga finish. FOURTH RACE, likewise for rural horses over 2,000 meter, became an exciting showdown with dramatic charge in the homestretch. After half rennet led Valdora, consequence of Dolly that sucked in meters and meters to the last corner to take the lead. Loppet seemed settled, but when the bell rang, Valdora stormed forward again and won safely albeit barely. Then täthästarna were only a few dozen yards from goal and the decisive battle, thrown from the crowd a hat, that floated down to the ice level with the heads of the horses. Both horses and drivers were irritated noticeably, but not to such an extent that for a time had an effect on the outcome justice. Had any of the horses shied, so had the accident been easy front. FIFTH RACE, speed race over 2,000 meter, was characterized by the stretch of tough draw between Anja with Teodor Nilsson and Monty, as the last in the riot decided in his favor, not least by Erik Dahlin in Brattbäcken tactically balanced driving. SIXTH RACE over 2000 meters for North Swedish horses became a relatively easy target for Valdis, but Valdora - which gave segraren 108 meters - made a nice pickup. Trea was Bruna II after tjuvstart. SEVENTH RACE, attempts over the years 2,000 meters as well as previous, mastered Irja fairly unchallenged in the final stretch before Blacka and wolverine, the latter heavily handikapbelastad, but just fine run of youngest driver, Bengt Hopstadius in Wolverine isthmus. EIGHTH RACE, 2000 meters for the farm horses, became a thrilling showdown between Koivisto Tindra, Myrrh and Stella in that order. Prevailing Bjorko Tindra should however have tjuvat to “flying start”. 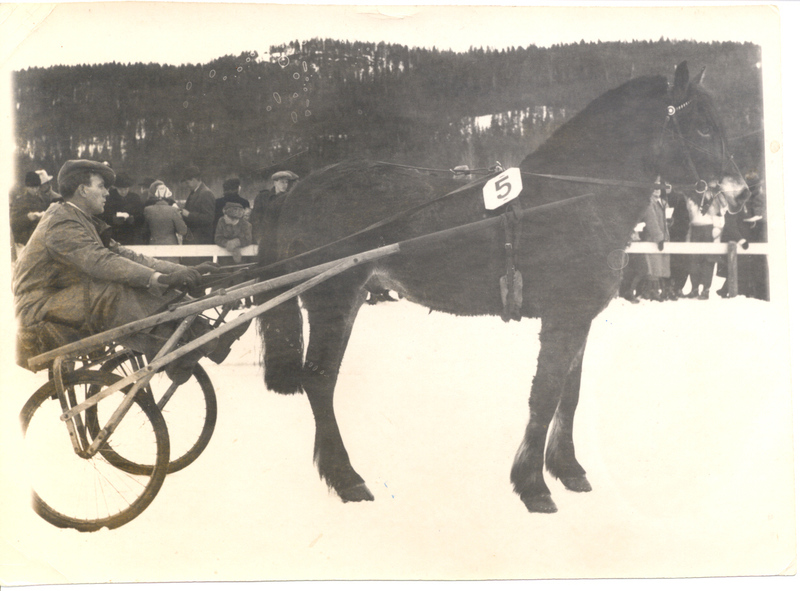 Ninth and tenth races was kälklopp over 2,000 meter, optionally carriages, However, not sulky or Käkelä. Horse and Carriage Parade showcased both ancient and typolika rides and in the rennet showed körarna far less routine than when it came to forcing the track in rehab. Site A was driven home rather low of Siva before Nora and Munter II, while Brown II proved superior in the B Division. – log March sun right inviting during most of the rennet, but did not attract more audience than the previous day to “saddle location”. Today's seven races - kvantiativt quite enough - was dealt with in four hours, with. from. thanks to conjure up the shoe's, yeoman And. Hopstadius, energetic work, who got ruljangsen to go away rapidly from volts. Kamrer O. Sehlberg, that value is an extra flower as fast counting totochef, turnover 7,682 kr, which 4,007 the winner and 3,675 place. The previous day's betting records were emphatically. Myrra i A. Dahlsjö minneslpp gave 8:60 and glitter in the trial race 6 whole 10:65. In a few cases were manfallet among those notified as large, that the matter must be reported. By 14 notified in each races 3 and 9 came nine, witnessing of an irresponsibility which ones calls for change, if you want to keep Tennessee racetrack popularity. The track was in good condition after the night's freezing temperatures, although watering occurred in the curves inner edges. Two “Hangings” occurred, both fully justified, and one or other had perhaps not damaged, but with bandomarens placement was impossible to observe violations after the last riot route, where the horses were lost in the background, as the audience gave. Bandomaren, juror J. Alexandersson, assisted by farmers ug. Lif and builder K. Sandin, considered himself under the circumstances ought shelf kit - “better the doubt”. 1 RACE for young horses over 1,100 meters contradicted with great interest, partly because the entire small young horse stood, partly because rennet was also the state's breeding price Among the starters were in the previous day's winner Majbris and angry competitor - did the dishes one Sickan, which was considered by many to have garnered a hard fate to start the day. They both lost valuable ground by Sickan posed to some confusion and handikaptyngda Majbris not come by. Alexandersson with Majbris guarded ago after stretch too fast Sickan unilaterally and at this for days not at all showed normal rates, there was no impetus. Borte On the long side led Kajsa Jung, consequence of stylish trotting Kri-Kri, whose workout Tage Holmgren did a great job. The riot curve rallied Kri-Kri in front and went in goal that secured victory. Kajsa Jung was second with Bella-Pour tightly brewing. Majbris made a good pick-up from the midfield, but could not intervene in the final battle and had to settle for fourth place. 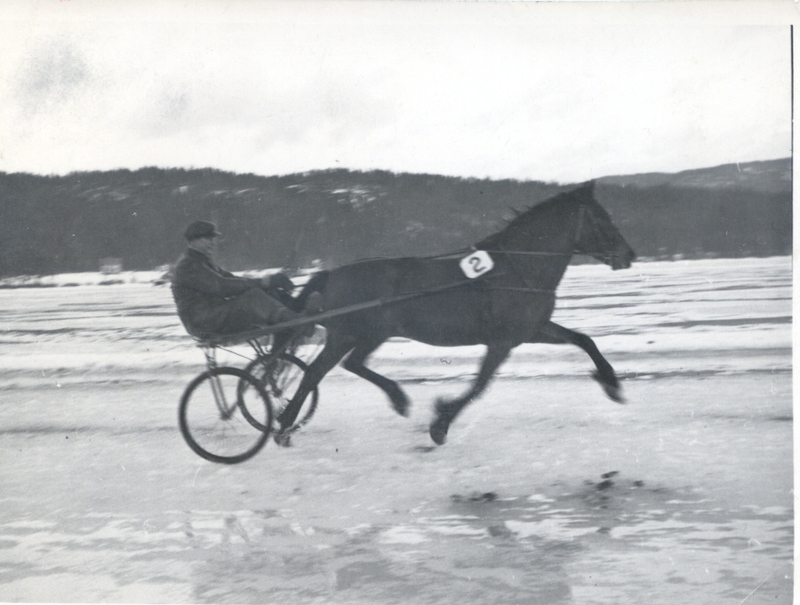 2 RACE, aller over 2,000 meter, became a classic display of elegant trotting horses and gentlemanly driving coachmen. The horses went his own race in tearing off, imperceptibly anmanade of körarna, none of which made the slightest attempt to use the rod. - After a false start came in the field road. Anja apparently best. On the first long side led Monty before Hov-Dido, but flyfotade Lill Greta came hovering in the background and had already imagined, whom the victory belonged. During the second lap, she caught up with its competitors in order to easily take the lead in riot curve. 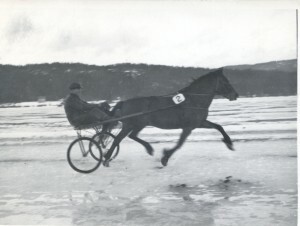 Monty, driven by the owner Theodor Nilsson in Skansnäset, is worthy of recognition for their fighting spirit in the home stretch. Happy River was third and Hov-Dido four, while Anja went out in the hopeless position. Little Greta documented with this second qualifying victory son Hotingsvägen Sea “isprinsessa” and Kasper Andersson, Hackås, was happy that the prince in the fairy tale. 3 RACE over 2,000 meters for the farm horses looked initially Daga in the lead, result of Lisa and Blacka, of which the latter worked his way up to lead the riot curve . Valdora so far been cautious, now came with a strong finish, on which blacka could not answer. That blotted workout thereby brought to the stick in a manner, that can not be tolerated, neither at racetracks or elsewhere, should clearly be said from. And what earned the senseless saxningen to? Valdoras victory was mightily popular, as well as the owner - Lillemor Forsberg in Ostersund. 4 RACE, class race over 2,000 meter, saw only four horses at the start. Since Monty had conduit , threatened by Anja, Fingal boy did his own race and won with Anja, Happy River and Monty on the sites. 5 RACE, A. Dahlsjös memory race over 2,000 meter, dominated on the first lap of the Wolverines, result of Myrrh Björkösund Tindra, that however impure trotting fell back. Rioters took Myrrh chance and won safely over the Wolverines and Vega-Pirate, that made a neighborhood pickup. 6 RACE, attempts over the years 2,000 meter, was in spite of the weak field (five horses) exciting and was uncertain well into the home stretch. Tindra, Valdis and Irja solder sequence, then finish began. Rioters exchanged Tindra and Valdis in the lead - and it seemed touch and go which ever is first to reach the finish line rescue, but so fell Valdis (one of the goals) at a gallop, and ended up in the tower. The victory went the right way - Tindra owner Per Flodin in Skansholm was honestly worth Mrs Fortuna's favor. 7 RACE - Kälklopp over 2,000 meter - saw Cheerful, Brown II and Nora alternating in the lead and was safely won by Brown II with Munter and Siva on the sites. Brunte II “hung”. – was cold and windy, but the faithful trot audience - constant around 1,000 people - turned up the bad conditions despite. Turnover on totes reached to 11,151 kr, which 6,721 kr on winners and 4,430 place. Today's sensation was that Monty with Theodor Nilsson in the bike left the Little Gretel behind in fast race. Majbris med J. Alexandersson as charioteer renewed in major North Swedish three-year course his victory over Sickan and other fleet-footed youngsters, while Hovdido in speed race showed his true skills.